While the tension in the air builds as the blog and podcast prepares for the big kickoff on 1 Feb 2013, here’s something of an administrative comment. As detailed in the blog policy, the material at this blog is copyrighted. I own it. That means that if you like something that you see here so much that you want everyone to see it, that’s great, and the way to let them see it is to provide a link to this website so that they can see it themselves. You may not copy and paste an entire blog article elsewhere, you can’t upload my podcast episodes elsewhere, and I also ask that you do not link directly to the mp3 files of podcast episodes. If you think an episode is good enough to share, then link to the blog episode that contains the episode. Let people come and see the source for themselves. All of this is in the blog policy, which I recommend reading if you haven’t yet. If you do want to reproduce my material elsewhere and you think there’s a good reason for doing so, contact me to discuss it. Next Next post: We’re baaack! Has there been some of that going on lately? While I don’t blame others for wanting to use your material, I would think that linking and giving credit isn’t that hard. Sorry to break it to you, Glenn, but you don’t own your blog posts or your podcasts. There is no such thing as intellectual property. IP is a legal fiction. Anyway, apart from Jesus you can do nothing, so credit where credit’s due. Richard, the term “Intellectual Property” may be meaningless in terms of putting together a number of unrelated rights and treating them as ‘property’, when what they really are is a Government protected temporary monopoly, but that does not mean copyright does not exist. Copyright should be respected, whether that is in the software you download, the books you buy, the music you listen to, or even the articles you read. However, there is a movement to encourage people to free content. 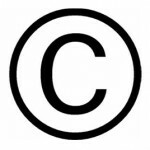 Started in the software field with ‘Free Software’, and now moving to other areas through Creative Commons, they do not ignore copyright, but rather provide a way for authors to license their works to others while ensuring those freedoms are maintained while proper attribution is made. I would personally like blogs like this to be licensed under the CC Attribution Non Commercial license. All this said however there is a legal basis for quoting a blog in a larger work such as a review.